Louisville, KY - Defending USL Champion Louisville City Football Club knocked reserve side New England Revolution out of the US Open Cup to advance on Tuesday night as fans flocked to Lynn Stadium to watch the local team perform. 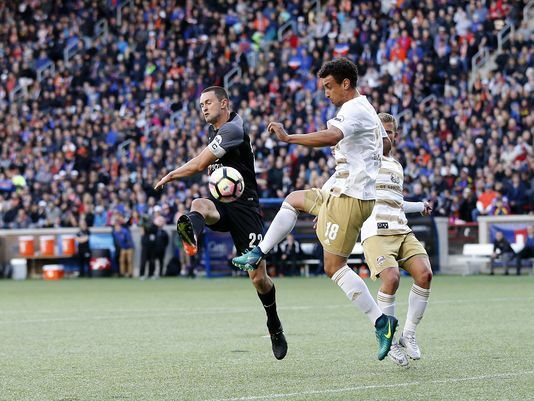 "It was a tough game, but we showed our quality," stated Louisville City head coach James O'Connor. "We knew that the Revolution would come in with a chip on their shoulder, but we just had to weather the storm and show why we are the defending USL Champion." With a squad that boasted some former MLS players in Andrew Farrell and Scott Caldwell, the upstart Revolution attempted to take the game to Louisville City and had some success as they forced an own goal early. However the quality from the reigning USL Champions was on full display as they easily closed out the US Open Cup game and sent the Revolution home to lick their wounds. "It was a tough game, but they are a champion for a reason," stated Revolution head coach, IT director, merchant services director, advertising executive, and team bus driver Brad Friedel. "We put out a lineup we thought could compete with them, but they were just too strong in the end." The Nutmeg News will have more on this as Louisville City continues their run through the US Open Cup.